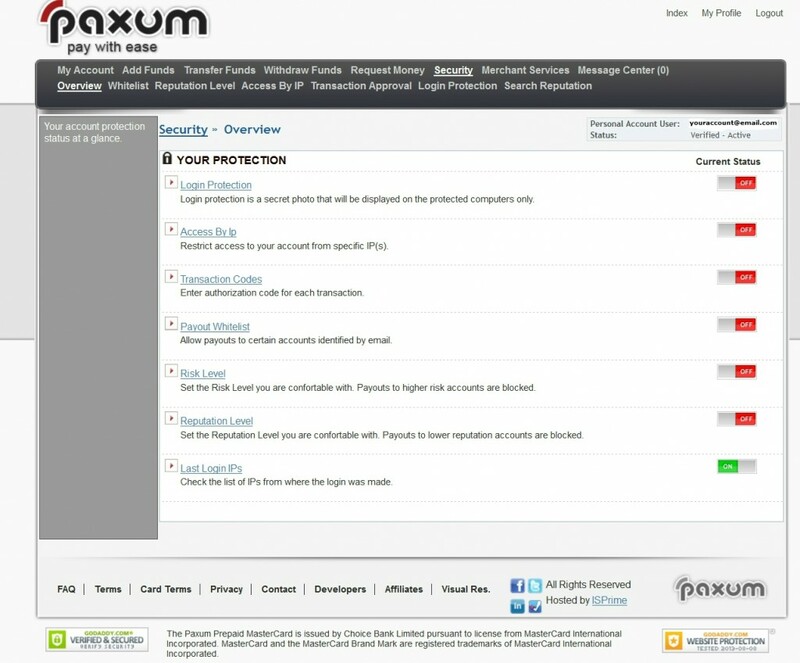 The Paxum Payout Whitelist enables you to receive payments from specified Paxum account-holders so that they are never blocked for payments by your in-account Risk Level or Reputation Level Settings. 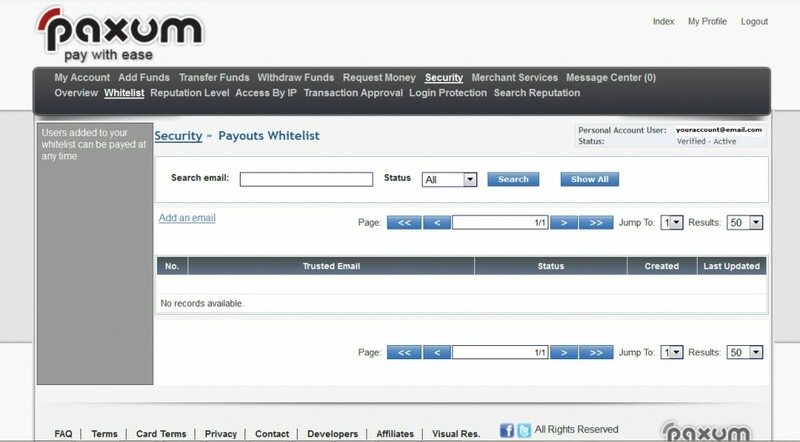 It’s easy to set up a Payout Whitelist, and you can do so after you login to your Paxum Account. 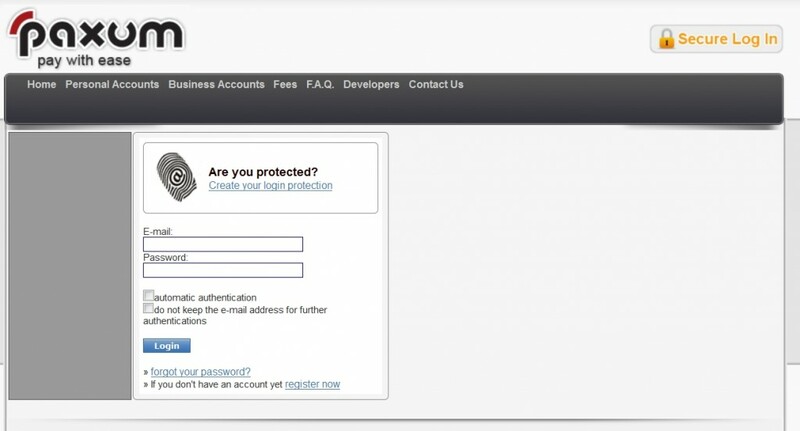 First login to your Paxum account. 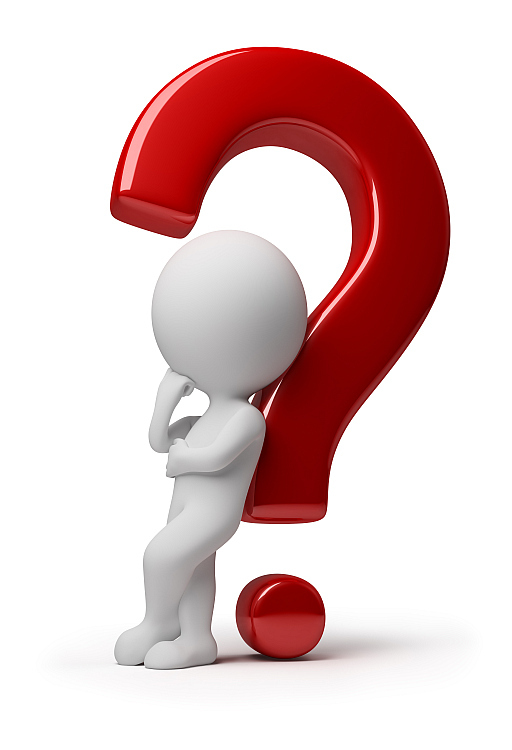 Please note – Paxum account-holders are allowed to add multiple email addresses to their account. 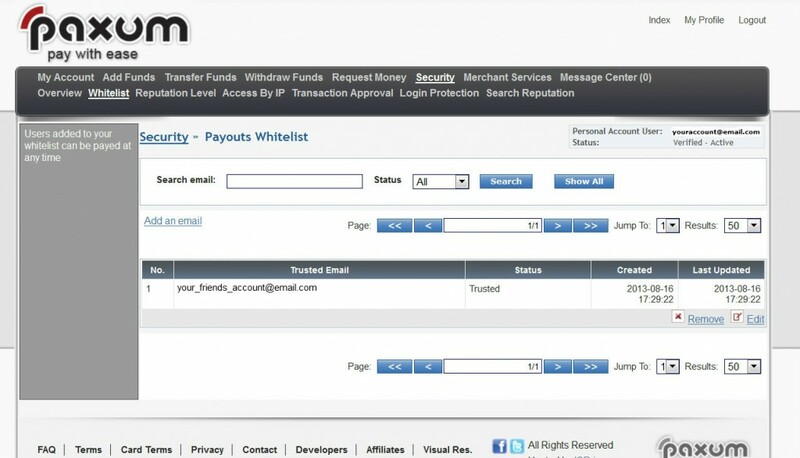 When you add an email address to your Payout Whitelist, by default it will internally associate the other email addresses attached to that Paxum account and also mark them as Trusted.